A unique name identifying the server. 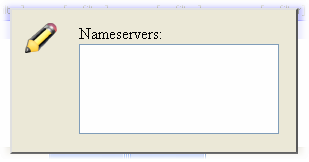 This is just an internal name identifying the server and need not be related to the hostname of the server. This field is editable only when adding a new server. The edit mode for this field is a textbox. Hostname of the server. For example, if you use http://xyz.host.com/whm to access your WHM admin area, the hostname is xyz.host.com. The edit mode for this field is a textbox. The type of connection to use to connect to the server. Valid values are HTTP and HTTPS. The edit mode for this field is a dropdown list. Username to login to the server. The edit mode for this field is a textbox. The maximum amount of disk space in megabytes (MB) available on the server to setup accounts. The edit mode for this field is a textbox. The maximum amount of bandwidth in megabytes (MB) per month available on the server. The edit mode for this field is a textbox. The maximum number of accounts that you wish to allow on the server. The edit mode for this field is a textbox. The amount of disk space in megabytes (MB) allocated to accounts on the server. The edit mode for this field is a textbox. The amount of bandwidth in megabytes (MB) per month allocated to accounts on the server. The edit mode for this field is a textbox. The number of accounts that have been setup on the server. The edit mode for this field is a textbox.